Google Glass failed to catch on the way Google had hoped. A revolutionary piece of wearable technology with special internet-connected features, Glass was able to garner massive attention when it was first unveiled in late 2012. It was named one of the “Best Inventions of the Year” by Time Magazine, used to film various YouTube videos of people skydiving, and even made guest appearances on the runway when models and designers sported them during New York Fashion Week. 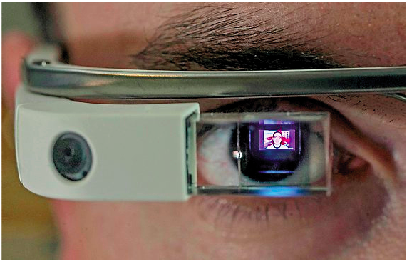 Google Glass was introduced as a piece of high-tech eyewear with mobile computing capabilities. By simply wearing the glasses, users would be able to navigate the Internet and various apps and take pictures or videos hands-free. Glass even had the ability to respond to vocal commands when users said the words, “Okay Glass,” deeming it the most technologically advanced interface the public had yet seen. Thus, when Glass was brought to market, Glass materialized the idea of wearable technology as being the next big thing– if only the public could get its hands on it. Just last November, Google announced its decision to stop selling Glass to the public. This put an end to its Explorer program in which selected users would pay $1,500 for a pair and also help Google better perfect the product through feedback. Therefore, the big question that arises is, why did it fail in spite of so much anticipation? Well, the focus isn’t on how Glass ended but how it began. At its inception, Google tried to make Glass as relevant as possible by marketing all its mobile features. Thus, much discussion surrounded all of its practical applications. Glass was simultaneously seen as a consumer electronic product, piece of medical equipment, and form of virtual education. Google even partnered with eyewear company Warby Parker in offering four compatible frame designs to make Glass’ transition into the marketplace smoother. This was seen as Google’s push for Glass to be socially accepted as a normal piece of apparel. However, though efforts were made to integrate Glass into society, the Explorer program was always seen as an exclusive way to actually obtain the product. Glass was always limited to a small group of people, mainly developers and journalists who got accepted into the Explorer Program, and thus it was never made widely available. This exclusivity reinforced the idea that Glass was still a work in progress for Google. Therefore, the notion that Glass could have so many applications ended up backfiring in the short run. Though there was much potential, there was no mass market for Glass to serve. Reviews from Explorer users mainly concluded that the purpose for Glass was vague given its price and many had difficulty justifying either. In addition, the public did not know how to approach Glass; the product’s social presence stirred up heated debates about privacy, leading to certain restaurants, movie theaters and bars banning Glass. As confusion rose and attention slowed, Google realized that the product was not ready for market and thus put an end to its Explorer program. The timing was off. Google brought to market a product which was not yet well-defined and not fully developed. In retracting sales, Google also announced that it will continue working on Glass and that the public should stay in tune for another release in the future. Great article! 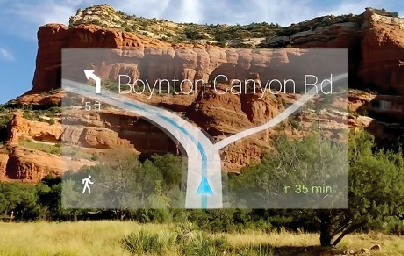 It will be interesting to see what happens when Google decides to re-release Google Glass! wow great article wanna grab coffee sometime?